“Harrisburg mourns the loss this morning of a U.S. Marshall who died protecting our residents. While serving a warrant as part of the U.S. Marshall’s task force, three officers were shot, including a Harrisburg police officer, who was wounded, bravely returned fire and critically injured the gunman. Mayor Eric Papenfuse has appointed veteran attorney Marc Woolley as the new business administrator for the City of Harrisburg. Woolley has spent decades in executive positions with several large organizations, including most recently as Deputy General Counsel, Chief Compliance Officer and Corporate Secretary with The Hershey Trust. He also served as General Counsel of the Philadelphia Housing Authority from 2002-2003 and as Director of Claims Administration and Assistant to the Chairman of the Delaware River Port Authority from 2004-2008. 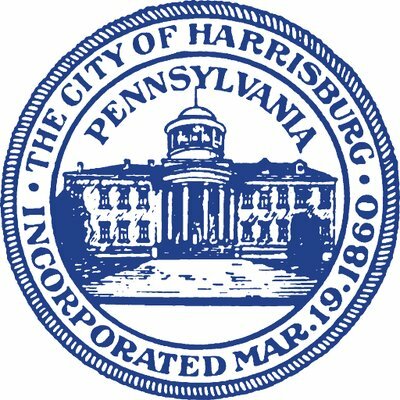 As Business Administrator for the City of Harrisburg, Woolley will supervise the Department of Administration and assist the Mayor in managing the City’s budget and finances. Woolley officially assumes his duties Monday, Oct. 2, 2017, with his office located in the Mayor’s Suite of the MLK Government Center, 10 N. Second St.
Woolley worked with The Hershey Trust from 2011 until 2016 when disagreements within the board of directors resulted in the resignations of several board members and Woolley’s severance from the institution. Media reports said Woolley raised alarms over the board’s spending. With The Hershey Trust, Woolley was responsible for testing and monitoring compliance with federal and state banking laws, as well as with IRS regulations. His many responsibilities included serving as legal advisor to senior executives, managing intellectual property and trademark issues and managing sensitive communications on board issues for the $12 billion trust company. As attorney for the Philadelphia Housing Authority’s Board of Commissioners, Woolley counseled executive staff regarding federal housing regulations and managed a multi-million-dollar annual budget. He supervised a staff of 11 attorneys and 11 support staff. As its attorney, Woolley was named in several lawsuits against the agency. Two lawsuits ended in favor of the Housing Authority and two others were settled. “It’s clear that throughout his stellar career, Marc has held challenging executive positions that required both courage and conviction,” said Mayor Papenfuse. “These traits will serve him well as he joins our leadership team.” Woolley also has worked as counsel of the law firm of Ballard, Spahr, Andrews & Ingersoll in Philadelphia, and he served as chair of the Chester-Upland Empowerment Board from 2007-2010. A native of Delaware, Woolley earned his juris doctorate from Boston College Law School and a Bachelor of Arts from Georgetown University in Washington, D.C.